Military Schools for troubled teens is one of the biggest misconceptions parents have. 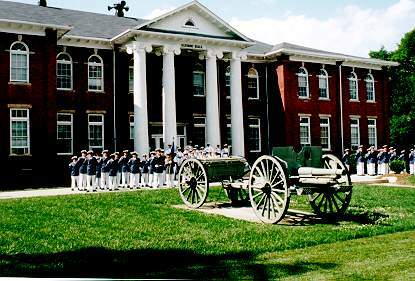 Military Schools, typically are not for troubled teens. Quite the contrary – students usually have to have a good GPA (current – not what they are capable of) and some Military Schools and Academies require your teen to write an essay about why they would like to attend. This doesn’t mean there aren’t Military Schools that won’t accept an at-risk teenager, however, be aware — these schools are not much different than most tradition schools (with the exception of the Military structure), most have policies in place. They won’t tolerate defiance, disrespect and especially substance abuse. Many will have the three-strikes your out rule. But with a Military School you forfeit your tuition. YES – it is usually there in the small print – and that is about $25,000-40,000 annually. You may ask, since many Military Schools are usually boarding schools, how do these kids find drugs or alcohol? Like many boarding schools, most do accept day students. Or like any teen that is using any type of drug, they will find a way. Never assume just because they are going to a boarding school they will stop using marijuana or stop drinking. When you have decided to get them help to determine what is causing them to turn to drugs or alcohol, or causing them emotional distress that is leading them to make bad choices and failing in school – you then need to find a good therapeutic boarding school. One that can offer them emotional growth to find out what is truly going on deep them with them. A Military School can’t do this for them. They are not about therapy or helping them sort out their feelings. Many parents will be reading this and thinking – well, we have been through so much therapy at home. Residential therapy is completely different than the one-on-one therapy you have weekly or twice a week at home. It is also completely different than an out-patient program you may have tried locally. Residential treatment offers your teen an opportunity to be with their peers that have the same feelings they are experiencing at their age, all their activities revolve around helping them build their self-worth to make better choices. Residential therapy can offer academics, clinical and just as important, enrichment programs – which helps stimulate your teen in a positive direction. Do you have questions about Military Schools and Academies? Contact us today. If you believe your teen is ready for one, we can help. If you think you need residential therapy, we can guide you with options too. We are about educating parents.